Industrial Innovations has announced the installation of a four Spra-Rite High Pressure Lubricant Spray Systems at a Tier One automotive stamping facility in Alabama. These high-pressure systems spraying systems have the ability to apply straight oils, which are increasingly being specified by European automakers. By regulating the volume and application of lubricant at specific areas of stamping or drawing tooling, and/or the stock, at pre-determined stroke intervals, manufacturers can decrease both lubrication usage and press downtime. In this instance, the stamping facility has decreased its lubrication use by 70% since the installation of this equipment. 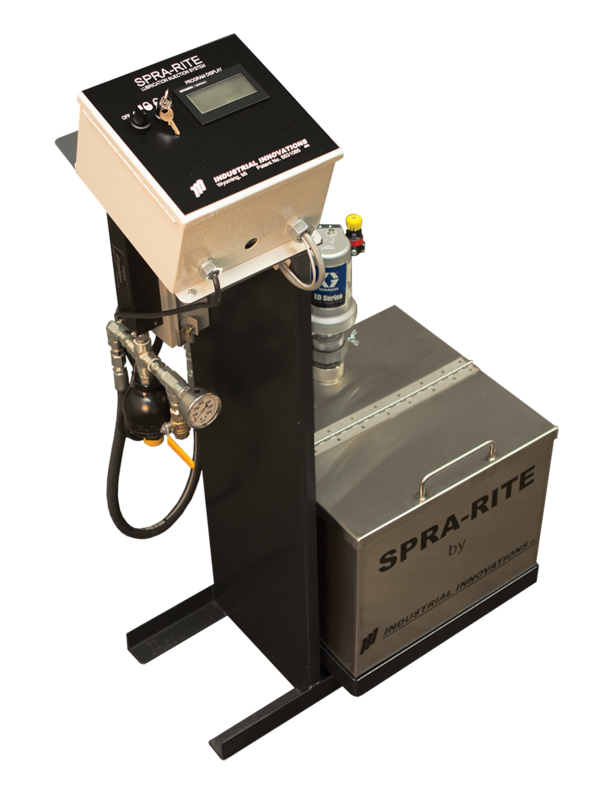 Spra-Rite applicator systems feature independently-controlled, electrically operated injector valves allowing individual control of skip cycle counting, delay spray, volume control and length of spray time for each nozzle. These systems are equipped with Industrial Innovations Z-series nozzles, which are 99.5% drip-free. The pedestal style provides easy portability around the pressroom.